For masking areas requiring protection during painting. The new & improved formula has a reduced odor. Shake and stir fully before use. Ensure the surface is clean of dust and grease. Evenly apply the Maskol to the area that requires protecting using an old paint brush. Seal a small strip of paper in to aid removal once ready. Allow to dry to a flexible film (15-20 mins) before applying paint. Do not allow dried film to remain on the surface for more than 3 days. Use water to thin Maskol if required. 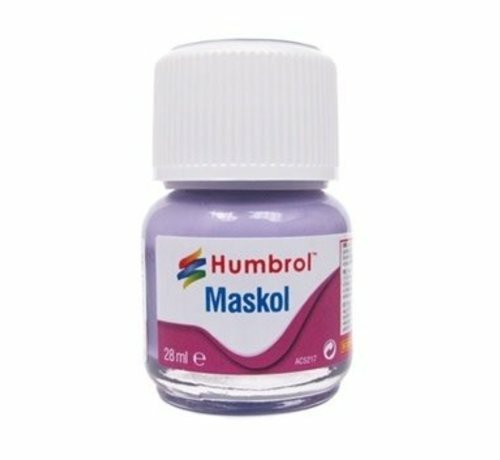 Note - Humbrol Maskol can be used on Humbrol Enamel & Acrylic paint, including Humbrol Acrylic Sprays.